Choosing a Pink Sapphire Ring: What looks good. Like Blue Sapphires, Pink Sapphires are exceptionally beautiful stones. 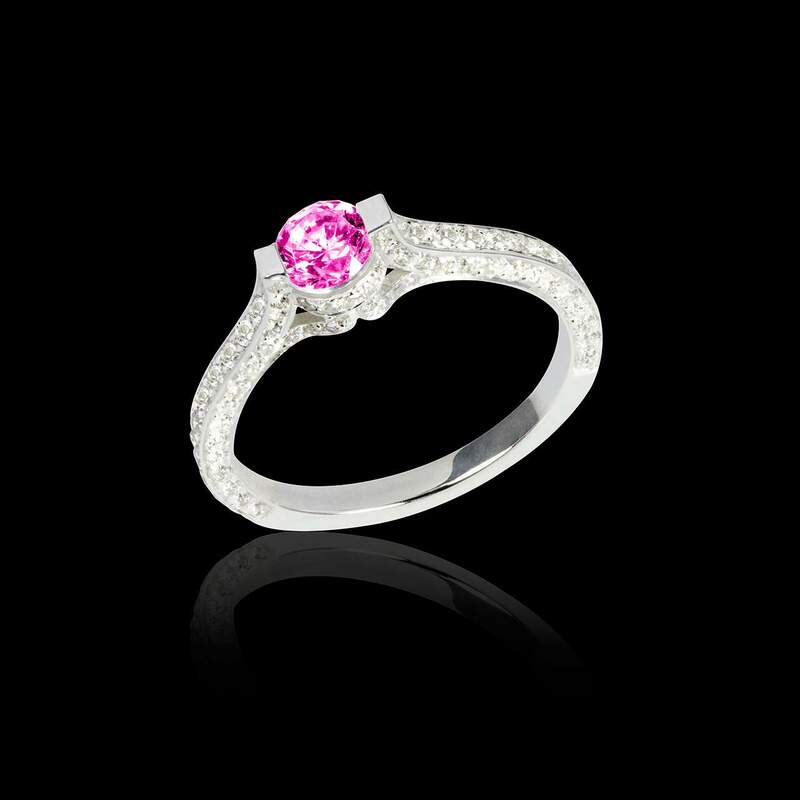 Pink is a bright colour, so it would be good to pair it with a white gold band. Diamond paving with that will look elegant and bring out the beauty of the Pink Sapphire. 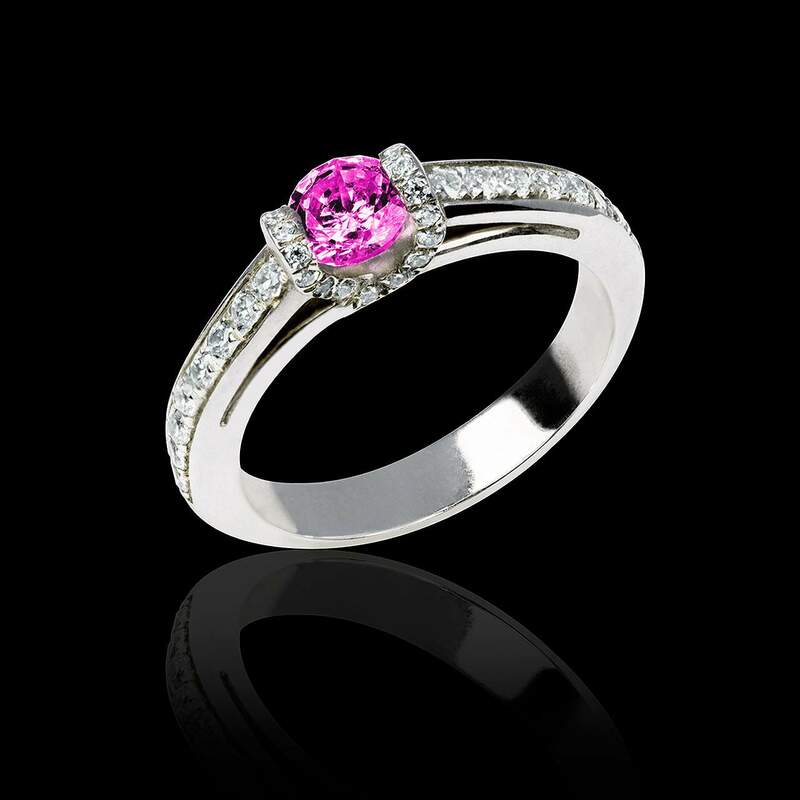 You can also try a Pink Sapphire Central Stone with Blue Sapphire Paving. The two sapphires, have a beautiful contrast on top of a white gold band. Take a look at our engagement rings and choose any model you would like. If you have a really unique vision, feel free to contact one of our experts in high jewellery. They can help you to bring your vision to life.